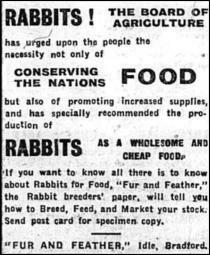 By the end of 1917 and into the early months of 1918, food shortages were becoming a major problem. What food that was available was more expensive. The Government introduced Food Controllers into communites to try and make fair the distribution of what food was available. 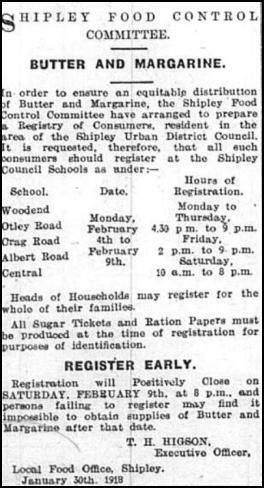 This included having to register with a local grocer to ensure a supply of staple items like butter and sugar. Everyone was urged to grow more of their own food and to tighten their belts. 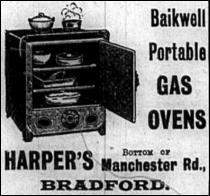 The Shipley Times & Express published weekly hints and tips for its readers including regular recipes for wholesome but inexpensive dishes. Some of them are reproduced here. By A Anderson, Baildon As Shrovetide nears, the children begin to talk of pancakes and one hears again the favourite boast of how many they can eat. Should a fresh fall of snow happen around Shrovetide, very light and delicious pancakes may be made at little cost by beating in a couple of handfuls of the newly fallen snow to the flour and milk and pinch of salt. They can then be tossed up as lightly as if three or four eggs had been used. The snow should be incorporated just before frying; the flour, milk and salt being beaten two hours previously to get the best results. Should any mother with a big family able to get only one egg and, say, a gill of milk she can, by doubling the amount of flour and utilising snow, make sufficient batter to make pancakes for a big family.